Years ago, we learned to hate paper. We all know, and have heard, about the forests that are cut down to make way for paper and paper products for every day use around the world. Even if you are not concerned with worldwide paper “consumption” on a larger scale, it creates certain challenges for printing, filing, and general organization for most people. Newport Enterprises makes a conscious effort to not only reduce our paper production and consumption, but to also reuse and replenish what we use, and even what others use. 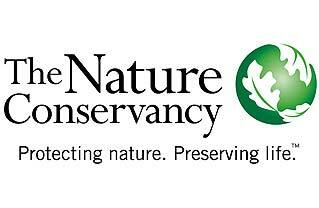 When you take a class through Newport Enterprises, you can not only be assured that we are being “As Green As Possible”, but through our partnership with The Nature Conservancy, we will plant a tree for you! That’s right, for every student we teach in one of our training centers, we make a contribution that will plant a tree. If you are interested in helping us plant a few more, you can make additional contributions here. Not to forget our fine, finned friends, we are also ardent supporters of the National Aquarium, with locations in Washington and Baltimore. We strive to use products that not only help keep our land green, but our seas blue. Recycling – Like many of us, we have established recycling bins in our training facilities, not just for papers, but for plastics, and glass, as well. For our partner training sites, we also ensure proper placement of similar containers, and only choose venues who support the same GREEN goals that we do. Please do YOUR part, by helping to make sure that your recyclables end up in the right spot. Use e-Cards – Where possible, when our curriculum allows us to issue electronic certifications, that is our default. They are accepted the same way as traditional paper cards, but it eliminates the paper. Plus, you don’t have to wait for a card to get mailed, as e-cards are usually issued within 24 hours. If you lose your card, you simply log on to the issuing website to issue your replacement. Use Both Sides – Some of our classes simply require paper, either for written exams, or for skill verification. We ensure that we routinely use BOTH sides of the paper for our exams and worksheets, and we make a conscious effort to request that reusable things (such as exams) not be written on. Every little bit helps, and our paper consumption is WAY down. Use Recycled Paper – For what little paper we DO use, we ensure that our copies are made on recycled paper. Yes, it’s another dollar or two per ream of paper in our costs. The horror. Don’t Use Paper – In most cases, rather than “make a copy” for our records, we “scan a copy” for our records. Don’t worry, all of our data is encrypted and backed up in two locations, so all of your personal data is safe (and we do not retain ANY personal financial information, including your credit card information). In many cases, we are able to simply “pdf” receipts and original paperwork, and never print them at all. It takes a little extra effort, but we think it’s worth it! Scan And Destroy Mission – In cases where we DO have original paperwork (exams, skill sheets, receipts), we scan them and shred them, and THEN recycle them. This cuts down on storage space, office supplies (new folders and equipment) and time….all of which have value. Use e-Books Where Possible – Several of our training curriculum support the use of e-books before, during and/or after class. Most of our paperwork can be sent out electronically and viewed on a computer or e-reader, rather than printed. Where possible, we will use electronic means to give information, and we encourage you to leave it in electronic format, wherever practical. HAVE SUGGESTIONS? WANT MORE INFORMATION? Feel free to send us an email.